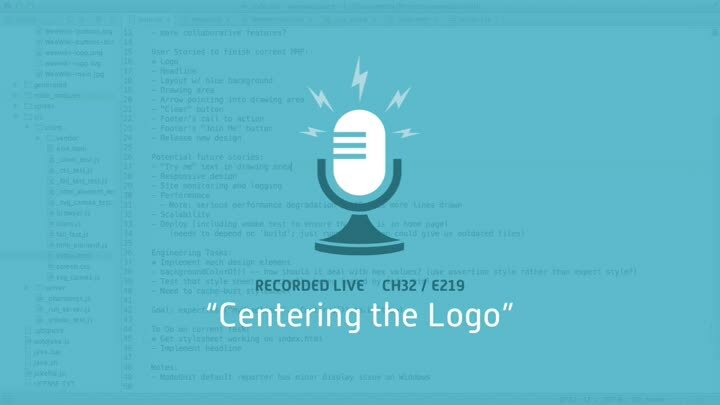 Our first major design element is the logo, which needs to be centered at the top of the page. We already have code to check if an element is centered on the page, so we re-use it to ensure that the logo is centered. It doesn’t quite fit our needs, though, so we spend this episode making the assertion more convenient. We’re still feeling our way along.